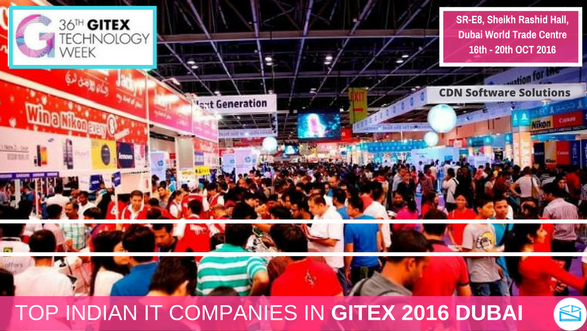 The GITEX Technology Week is one of the largest tech event on the planet that takes place in Dubai every year. This year the event will be held from 16th-20th October 2016 in Dubai World Trade Centre. With more than 146,000 visitors from 150 countries, it’s one of the world’s largest ICT trade fairs. Every year many Indian IT companies exhibit in this mega event through Electronics and Computer Software Export Promotion Council (ESC). The ESC has been facilitating Indian participation on a regular basis at Gitex to take advantage of the booming IT market in the Gulf. With Make in India at its peak, participation of Indian companies in International IT events is a kind of motivation. The Electronics and Computer Software Export Promotion Council (ESC) is ensuring Indian participation in a big way at Gitex Dubai 2016 and hence total of 38 companies will be representing India in ESC pavilion. A & R Info Security Solutions PVT LTD is India’s most innovative and responsible security organization. They use their extensive knowledge and experience in IT Security to deliver tangible results. A & R provide a wide range of security services such as malware analysis, threat modelling, SCADA & ICS security, etc. A & R Info Security Solutions will be at stand no. SR-F6 in Sheikh Rashid Hall, Dubai World Trade Centre during Gitex 2016 Dubai i.e. from 16th to 20th OCT 2016. CDN Solutions Group is a well known IT company in India and is a one stop solution for all IT services such as Website Development, Mobile App Development, Internet of Things Solutions, Ecommerce Website and App Development, Multimedia and Graphic Designing, Digital Marketing Services, Augmented Reality Solutions, Business Analytics Solutions, Wireframing, etc. CDN Solutions Group was founded in 2000 and are consistently exhibiting in Gitex Dubai since 2009. They will be available at stand SR-E8 in Sheikh Rashid Hall, Dubai World Trade Centre during the event. They are also providing free tickets for Gitex Dubai 2016 to their valuable visitors. So if you want to visit CDN Solutions Group in Gitex 2016, avail your free passes here. TalentRecruit is a Bangalore based IT recruitment service provider company founded in 2009 and it is not just a recruitment software company offering best-in-class products, but also a trusted recruitment solutions partner for a host of clients including topnotch corporate, recruitment firms, business consultants & more. XS Infosol is an Network Solutions provider company for ISPs. XS Infosol is a well known name in network provider suppliers in the areas such as Bandwidth Management Solutions, Firewall, Mail Solutions, Smart Guard Solutions, etc. You can visit XS Infosol at stand no. Z-M13 Zabeel Hall in Gitex Technology Week 2016. Frog Cellsat is a front runner solutions provider building 2G, 3G, and 4G voice & data services for mobile operators. They offer best of products, solutions and services to customers in the mobile signal coverage enhancement space across existing and upcoming cellular technologies like CDMA, GSM, EGSM, DCS, UMTS, WCDMA, LTE and others. You can visit Frog Cellsat Limited at stand J45 Zabeel Hall, Dubai World Trade Centre in Gitex 2016 Dubai during the event. So these are few of the top Indian IT companies who are participating in Gitex 2016 Dubai to provide cutting edge IT solutions and make India proud in the great International ICT expo like Gitex Technology Week. If you also want to take part in Gitex 2016 exhibition, avail free tickets here. All You Need to Know About EDM Solutions..! !